Morakniv Craftsmen knives are specialty knives that have been developed in close collaboration with various professional categories with the construction trade. The common denominator for specialty knives is that they are ergonomically sound, efficient and safe to use. The Mora Craftsmen 7350 is a serrated-edged knife with a Sandvik stainless steel blade that is suitable for various types of insulation. The knife has an ample handle that fit your hand even when wearing gloves. 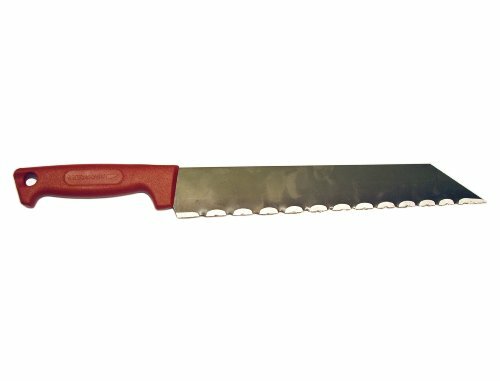 Blade length 13.8-inches (350 mm). Morakniv has been manufacturing the highest-quality knives in Mora, Sweden since 1891. Professionals worldwide trust the quality materials and fine craftsmanship of Mora Knives.